Robot Waiters in Shanghai! No, it’s not Back to the Future – it’s the present! This is just one of several restaurants in Shanghai and other cities in China that utilize robots. Naturally, the kids love them. 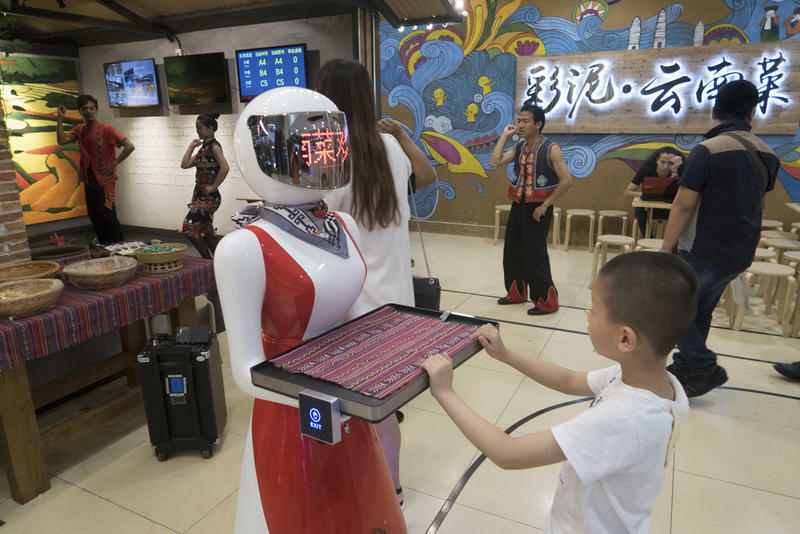 One of them is even called Wall-E. Another café in Ningbo has automated waiters that not only take your order and serve you, but also to speak to you, telling you to enjoy your meal. At Alibaba’s restaurant, which is also in Shanghai, fresh seafood is delivered to your table. Conveyor belts, robotic arms, and mobile carts, along with a software system, have replaced human workers. The software system uses the QR code from the customer’s phone to handle seating arrangements, ordering, and payments. Restaurant owners love it because they don’t have to concern themselves with employees calling in sick or asking for a raise. They don’t have to pay any other employee benefits either. All they have to do is charge up the robot and it’s ready to work for a 10 hour day. There’s also the added benefit of them being fast and efficient since they don’t get tired and they don’t talk back. When it comes to cooking, they know the exact ingredients to use and they don’t forget so the meals are cooked precisely the same way every time with no room for error. In 2015, restaurant owners all over China start implementing these robots. The cost of each robot is around $7,400 or 48,000 yen – less than the annual salary of most human workers, so after that first year, the rest is profit other than minimal costs of keeping them charged up between shifts. Their lifespan is about three to five years. By the year 2020, they expect to have over 400,000 in China. 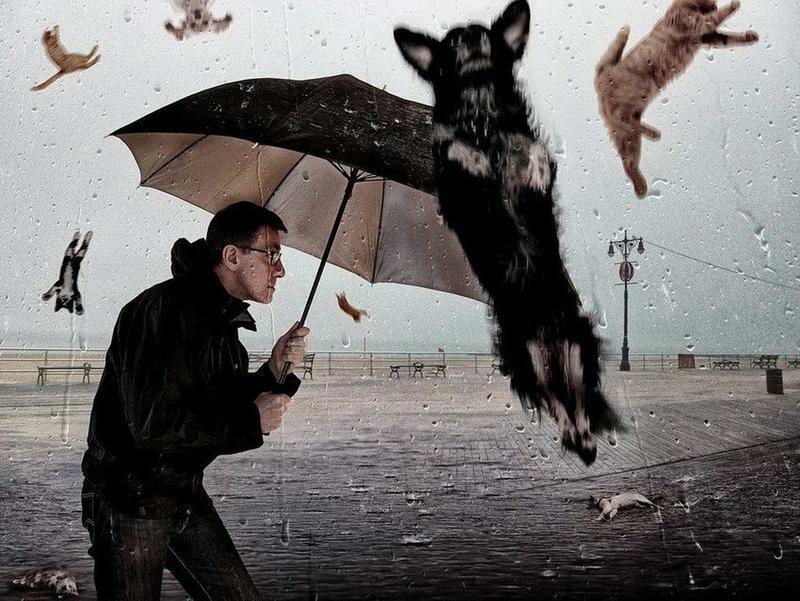 Raining Cats and Dogs? Maybe not cats and dogs but have you ever heard of animal rain? It’s actually a rare phenomenon that can occur when strong winds traveling over water pick up animals like fish, frogs, or even birds and carry them from one place to another, where they are usually dropped from the sky like rainfall. Amazingly, the animals usually survive the fall. Those who have been witnesses to this phenomenon say that the animals appear to be startled, at first, but then will resume normal behavior with the exception of a few that do die or are frozen in ice. Occurrences have been reported in the Philippines in 2012, Australia in 2010, and India in 2009. Scientists explain that the cause of this phenomenon is tornadic waterspouts which are capable of “picking up” the animals and literally lifting them in the air – sounds like The Wizard of Oz! These waterspouts then carry them over large distances – maybe somewhere over the rainbow? Jubilee on the Eastern Shore in South Alabama is another strange phenomenon that seems to occur in only two places; one is Tokyo Bay in Japan and the other in Mobile Bay in Alabama. 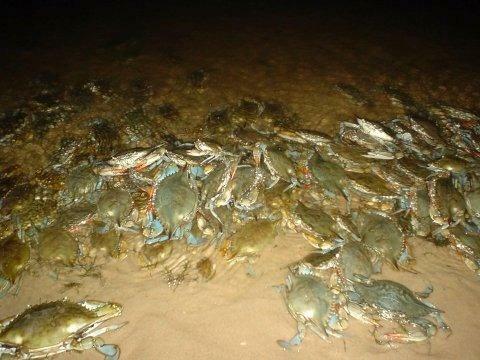 This “Jubilee” is a multitude of fish, crabs, flounder, and/or shrimp that suddenly appear near the shoreline for the taking. Certain conditions have to be met in order for this to occur. Usually only in the summer, in the morning before sunrise, but the day before has to have been an overcast or cloudy day with a soft wind from the east and the bay has to be calm and slick. In addition to that, there must be a rising tide and any change to the tide can stop the Jubilee. It is quite a combination, so unless you are an avid fisherman, watching all these conditions to be present on a regular basis, you may not know about it in time; unless, of course, you have a friend or neighbor call you up and tell you about it. The local residents get all excited when one occurs. They come out with their gigging equipment for gigging flounder; for crabs, they bring their buckets; and for shrimp, they bring their nets, along with their buckets or ice chests, to haul away their stash in. Some Jubilees are specifically just flounder or just shrimp; but, at other times, it may be all of them. The length of distance for these Jubilees usually run along the shore for about 15 miles but can sometimes be just a few hundred feet. 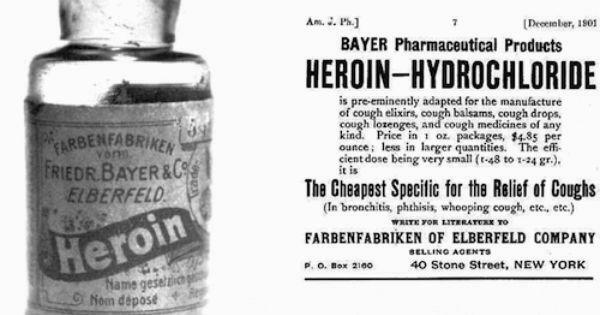 Doctors used to prescribe Heroin to children for coughs – can you believe it? Where did it originate from? It was Bayer – a drug company who actually came up with the name for it. In 1895, Bayer sold it as an over the counter drug as a cough suppressant. They gave it the name of Heroin because, in their opinion, it gave “heroic” results. For whatever reason, Bayer did not realize that it was addictive but it wasn’t long before a high rate of addiction told the real story. Commercial ads were even printed with children reaching for a bottle of it across a kitchen table and another ad with a mom giving it to her sick little girl with a spoon. You could say that this was the beginning of the opioid crisis. 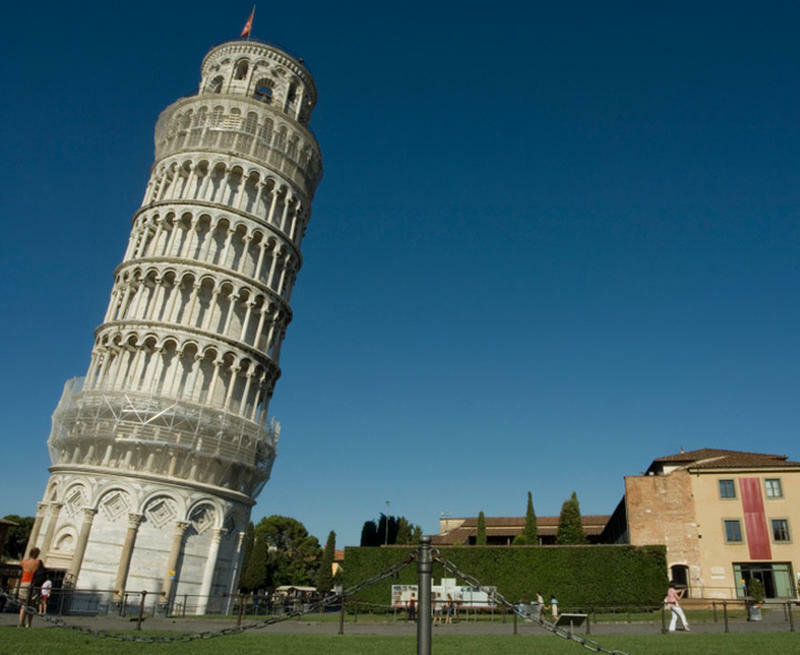 The Leaning Tower of Pisa is a freestanding bell tower located in Italy in the city of Pisa. During its construction in the 12th century, it began to lean due to an inadequate foundation. The ground was too soft on one side to support the weight and the tilt gradually increased before it was completed in the 14th century. Amazingly, the tilt partially corrected itself through stabilization by the late 20th century. From the ground, it stands to 183.27 feet on the low end and 185.93 feet on the high end and weighs 16,000 short tons. With restoration work done between 1990 and 2001, the tower now leans at only 3.99 degrees; whereas, it was 5.5 degrees.